You must have heard of Ikyu (pronounced "E-Q") by now. Chef Takumi Seki (former Chef de Cuisine of Hide Yamamoto at Marina Bay Sands) has set up his own restaurant in the newly hip F&B neighbourhood of Tiong Bahru. Ikyu means "take a break" in Japanese, and also calls to mind "Ikkyu", one of Japan's most famous Zen Buddhist monks from the Muromachi era. So at Ikyu you can take a break from the hustle and bustle of the city. I'd say it's relaxed fine dining here. They do emphasize on using quality ingredients, which also means prices are unavoidably a little on the high side. But come here for lunch, and you'll be pleasantly surprised. There are several lunch sets going from just S$25. The Ikyu Sushi Set (6 pieces) and Rolls pictured above is the most premium one at S$35. 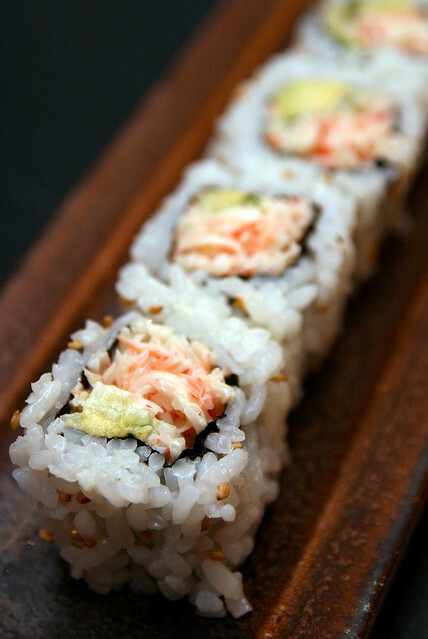 Very nicely made - with generous neta (sushi topping) draping the Hokkaido rice. The restaurant's contemporary industrial chic contrasts tremendously with the neighbourhood's old school aura. Randomly patterned raw cement walls, matt metal chairs and hanging bulbs - not your usual Japanese restaurant decor. 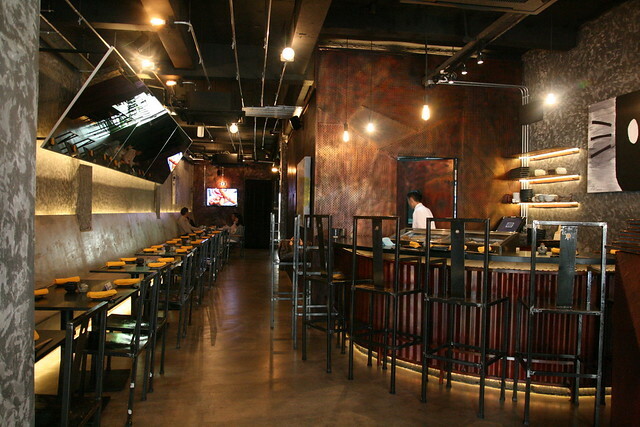 There is a small sake bar at the end of the restaurant, along with a more private dining area. Chef Seki is from Niigata, where they produce good sake, so he loves and collects sake. 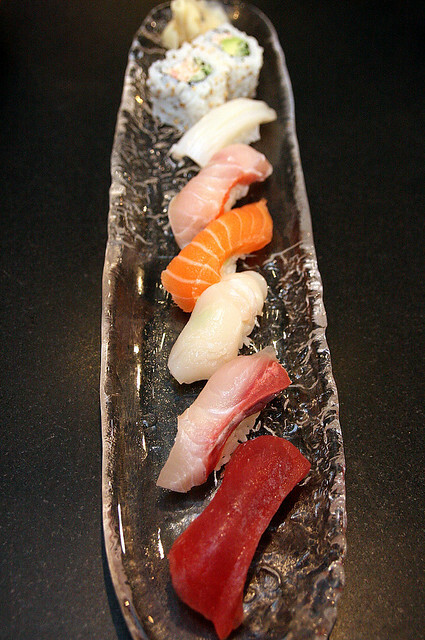 Sit at the bar counter upfront, and you can get your sushi set served to you piece by piece. I had hirame (flounder), maguro (tuna), kinmedai (kinme or golden eye snapper), prawn and the most interesting one was Aburi Engawa Hirame - Blowtorched Flounder Fin. The fish is flown in three times a week from Tsukiji (definitely Tuesdays and Fridays, maybe Wednesdays or Thursdays as well). The types of fish varies depending on what's fresh and good. 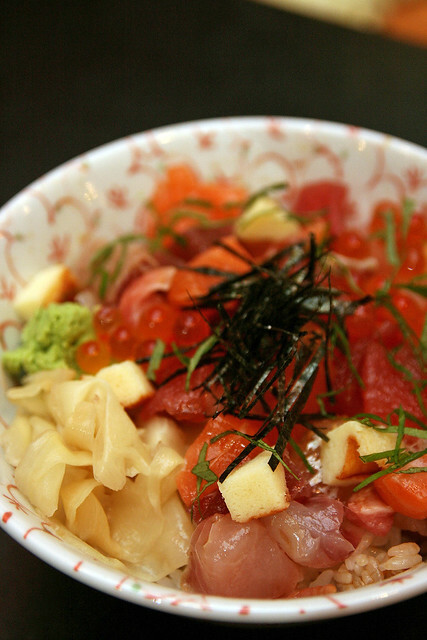 The Ikyu Chirashi Set (S$25) gives you their Bara Chirashi, which is cubed or chopped sashimi atop a bowl of rice. I didn't try this, but couldn't resist taking a shot when I saw it being prepared. So pretty. And see the lovely yellow gari? The pickled young ginger is imported from Japan. You can tell. It is just so extra plump, sweet and juicy. If you're not into raw fish, you can opt for the Daily Special Set - Grilled, Fried Items and Mentaiko Yaki Onigiri (S$25). 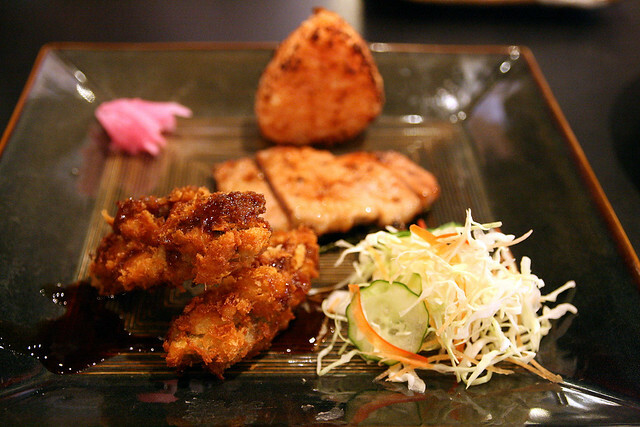 The grilled pork is nicely seasoned, but the panko-crusted fried oyster proved a little too heavy for us. Nice onigiri though. Nabeyaki Udon - finally some decent Sanuki udon in Singapore! Gently al dente noodles in a light and tasty broth. Eat this while it's hot, the noodles should be more springy. The Nabeyaki Udon Set (S$25) also gives you five pieces of crabmeat rolls. But alas, no miso soup. It's already a big bowl of soup with the udon. The lunch sets come with appetisers and salads. These may vary from day to day. 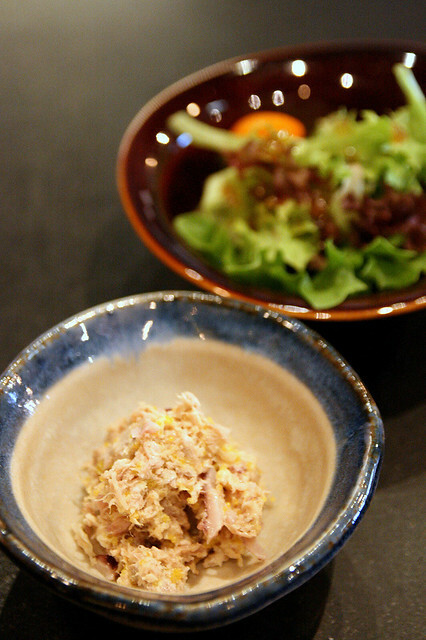 We had an interesting tuna salad spiked with chopped crunchy tako (octopus). 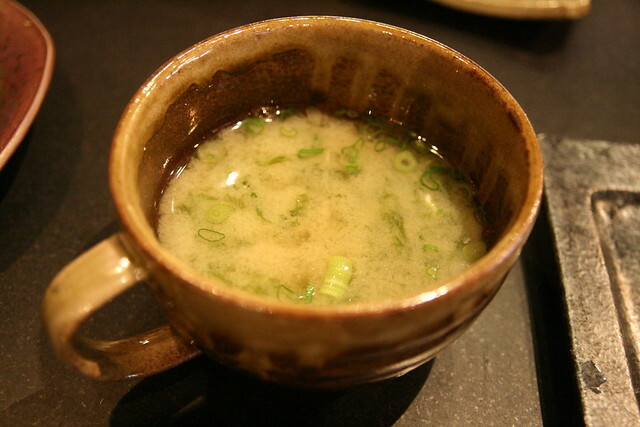 I had not intended to take a photo of the miso soup. I mean how exciting can lunch set miso soups be? But after taking a sip, I had to stop and ask the chef what special thing was in it. 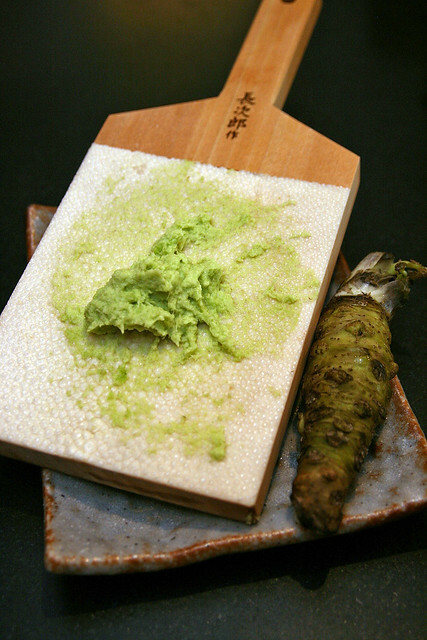 Seki-san says they use a special miso paste from Nagano, and fresh nori. Oh man, it's beautiful. 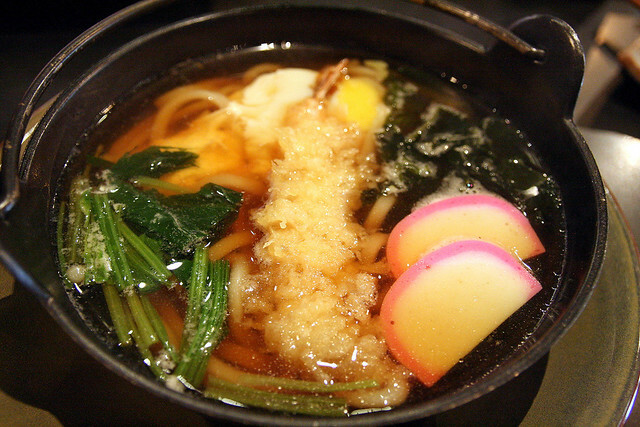 The mouthfeel of fresh seaweed gives the fragrant broth such a luxurious touch. And the stock is so tasty. Special mention and photo deserved. Only fresh and real wasabi is used here. No compromises. The lunch sets are great value, but if you'd like, you can also order some a la carte items. They do have some interesting things. 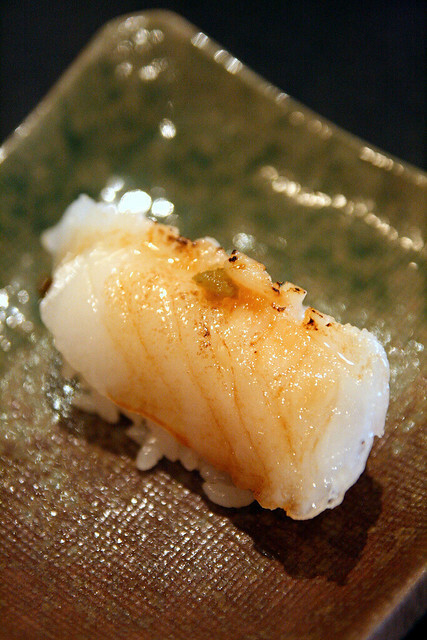 Chef Seki has also worked in France and the U.S., so he brings some of these influences and techniques from the West to his food. French Foie Gras flavoured with Yuzu (S$18.50) is gently seared and the yuzu seasoning is very light. I do wish the portion was bigger. But then I always wish foie gras portions were bigger anywhere anyway. Can't get enough. 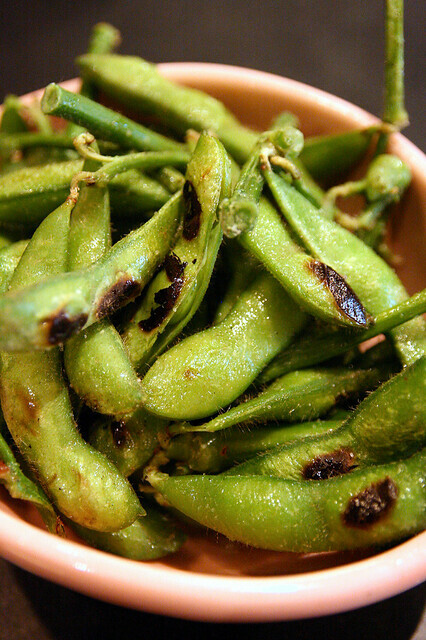 Grilled Edamame flavoured with Truffle (S$8.50). Ooh, this was nice. The grilled beans and the hint of truffle go so well together. Definitely healthier than truffle fries. 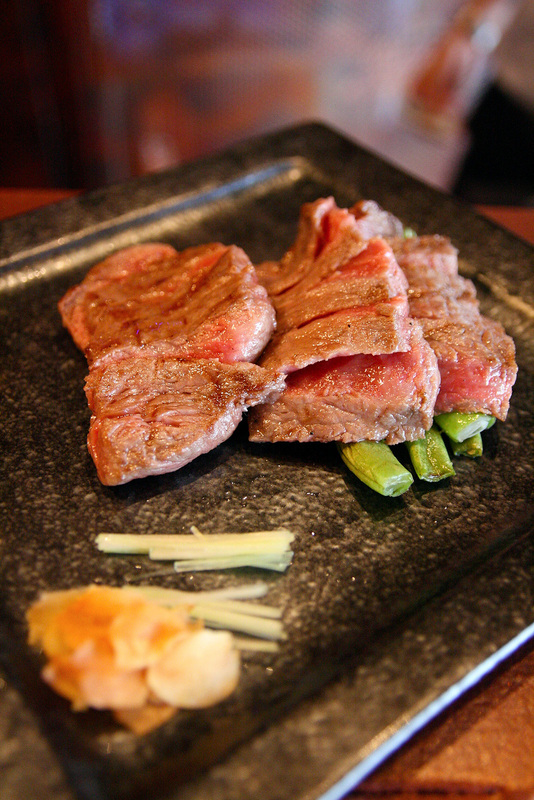 But the crème de la crème has got to be the Kagoshima Wagyu Beef Sirloin (120g, S$58.50). Expertly char-grilled, aromatic melt-in-your-mouth goodness. Dip it in ponzu, try it with the garlic chips and negi for variations in flavour. My mouth is watering again at the memory. 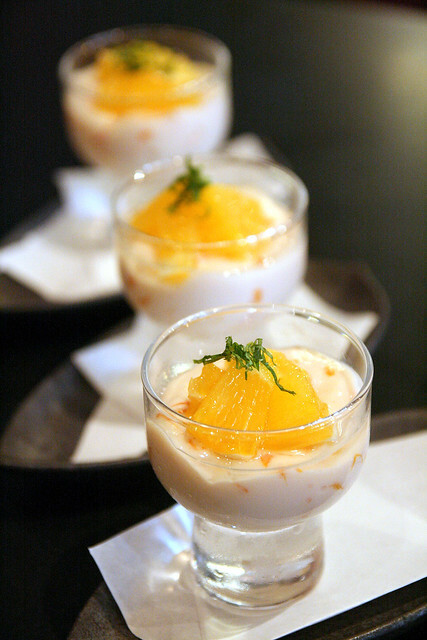 All the sets come with desserts - orange milk pudding for today. A nice way to finish off the meal. 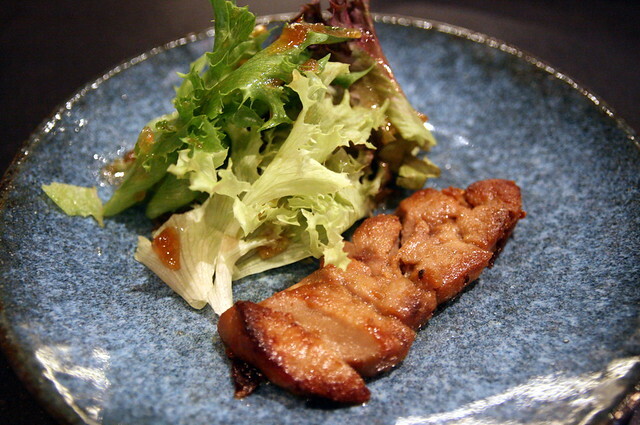 There is another dish you might like to consider at Ikyu. Seki-san highly recommends his "kakkoi" (cute/cool/dashing) manager (on the left) who is very hardworking, still single and available! Ladies, take note. 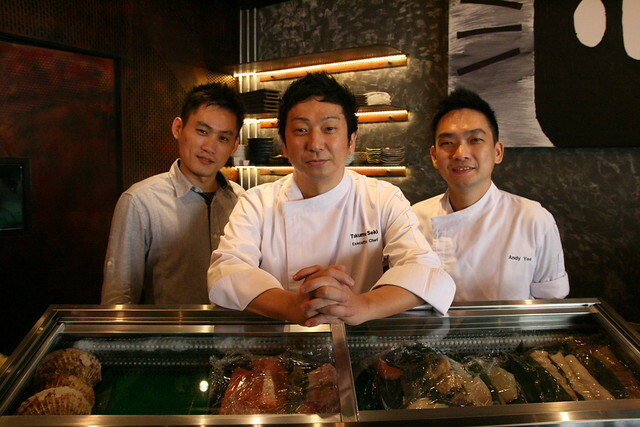 Chef Takumi Seki (centre) flanked by his manager (left) and Chef Andy Yee (right). Seki-san is very cheery and effusive. He speaks English very well and loves to share details about his food, so many customers like to sit at the bar counter to chat with him. 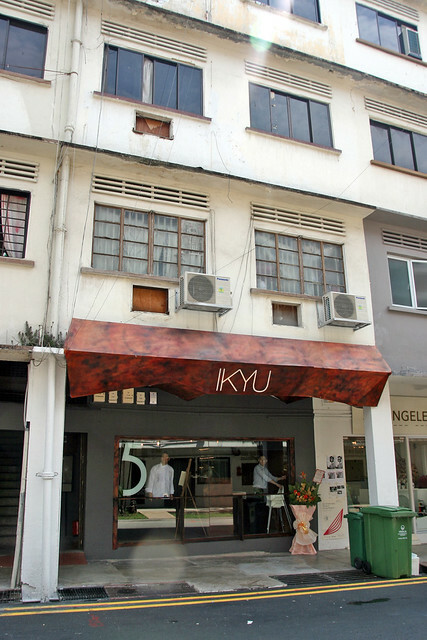 So if you've been meaning to try Ikyu, the lunch sets are definitely a good deal. They are available every day. They have a seven-course omakase set for dinner (S$128) and a la carte choices. 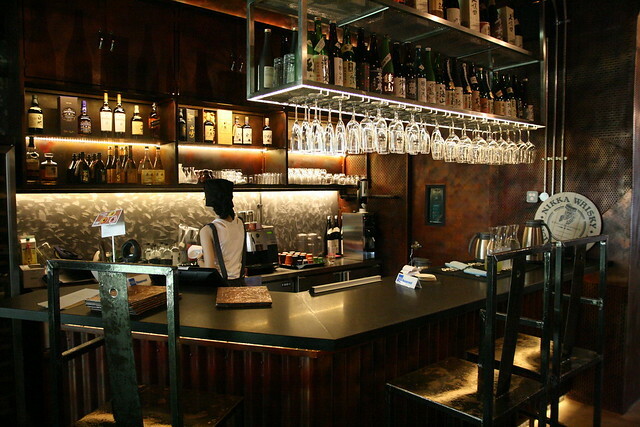 The fully licensed bar serves sake, wines, champagne, beers and fruit liquers. Cool! I hope you like the lunch sets! I don't mind going back too.